As a backcountry skier, you have two basic options for your Boot/Binding set-up; Telemark or AT (All-Terrain). Most backcountry skiers today use AT gear, but those who are devoted to Telemark are fiercely loyal to their gear and art. Both have advantages and disadvantages and either would be a sound choice for a lifetime of enjoyment in the snow. This is an area of personal choice. NOTE: you cannot use Telemark boots on AT bindings and AT boots will not work on Telemark bindings. No change in binding set-up on the uphill or downhill. Modern bindings have a spring which increases “glide” while touring. Most bindings can be adjusted in the field to fit any boot size. No dynamic release available—if you fall, your ski will not release. Learning curve will take longer for one transitioning to Tele from Alpine. Boot may not take crampons, or require specialized crampons. Unless your binding has a toe pivot, range of motion is limited for hill climbing. Downhill skiing with AT gear is identical to Alpine skiing (heel locked down). Many bindings now available with a dynamic release function (DIN). Boot design works well with rock/ice climbing and crampon use. 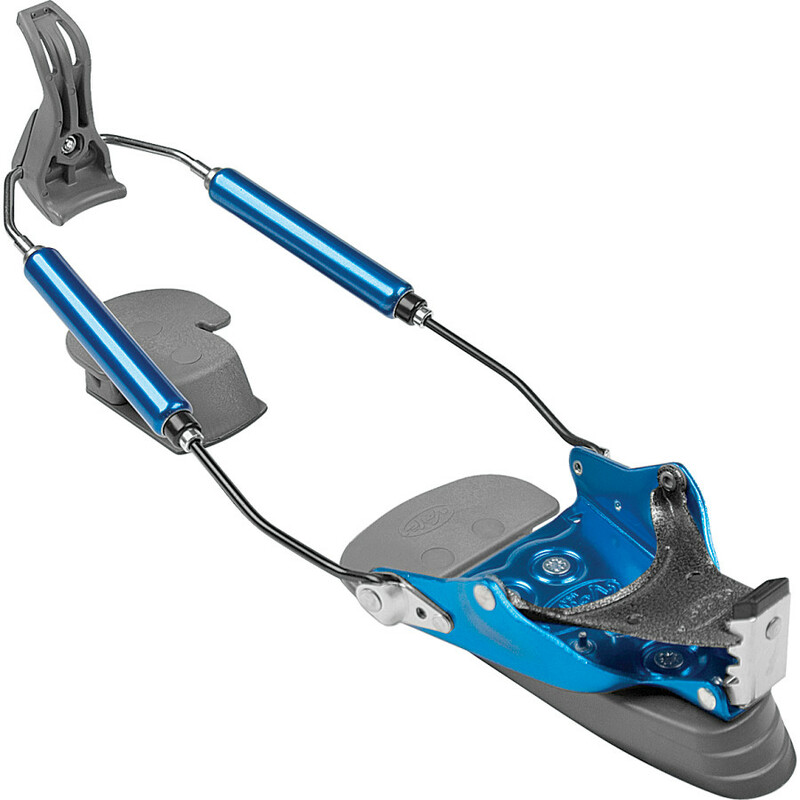 Some bindings require the boot to be removed from the binding to change from Ski to tour mode and back to ski mode. Not as efficient as Telemark bindings when gliding on flat surfaces. Many AT bindings are sized and mounted for a specific boot size range (difficult/impossible to share skis with others). The image on the left is a Telemark boot with the “duckbill” on the toe. 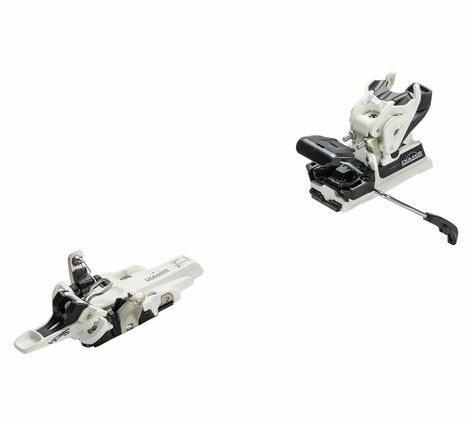 The image on the right is an AT boot, which will have metal inserts on either side of the toe and an unusual metal insert in the heel for “tech bindings”. With modern boots, both a Telemark and AT boot are basically the same other than the manner on how the boot attaches to the binding. One other difference is a Telemark boot will often have a “bellows” over the toes to provide more flexibility at the ball of the foot, needed in “tele-turns”. Anticipate MSRP on boots in the $500.00 to $800.00 range. Once you have made a choice of AT or Telemark, your boot selection should be based on the boot that fits YOUR foot best. 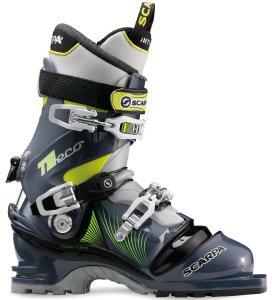 Brands such as Garmont and Scarpa manufacture excellent Telemark Boots. Top brands for AT include Black Diamond, Dynafit, Garmont and Scarpa. Don’t let your friend or a stranger tell you one brand is better than the other—their opinion may be based on a foot type very different than yours. Do your own research and try on several brands and models. As a general observation, Garmont and Black Diamond seem to fit better on high volume feet while Dynafit and Scarpa seem to be the choice of lower volume feet. Another consideration needed is how stiff do you want your boot? 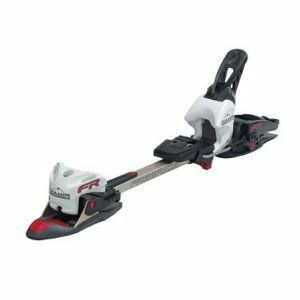 For backcountry skiing in terrain similar to the Mt. Pinos region, a softer boot may be your best option. Do you spend most of your backcountry skiing climbing to the top of a large peak, then skiing down? A stiffer boot may be better suited to your needs. Both boots pictured above are soft to moderate flex boots that would be ideal on Mt. Pinos. They have an adjustment on the back heel for “walk” or “ski” mode and the walk mode is akin to walking in a mountaineering boot. Both boots pictured above have a single buckle above the ankle. If a boot has two buckles above the ankle, it will be stiffer for touring and walking. There are Telemark boots much lower on the calf than pictured above. Be cautious of these as they may not have sufficient support to turn/carve a ski of 78mm or wider under foot (they are designed for skinny skis). Unfortunately there are few (if any) brick & mortar shops in Southern California that carry Telemark or AT Boots. My recommendation is a road trip—either Mammoth Mountaineering in Mammoth Lakes, CA or in Lake Tahoe, you have two options; AlpenGlow Sports (Tahoe City) or the Start Haus (No Tele gear, only AT) in Truckee, CA. Once you know your brand and size, you can find good deals on-line but I caution against this. Most boots have liners that you can have “cooked” to custom fit your foot. Be sure to find a qualified fitter that knows what they are doing and has worked with your brand recently. If you have a foot that has been difficult to fit in boots in the past, go straight to a qualified boot fitter and let them evaluate your foot and skiing style to assist in selecting the best brand and model–this will be much cheaper in the long run than spending hundreds of dollars on a boot and then having to first find a qualified fitter, then spend a hundred or more to have the fit problems corrected. RECOMMENDATION: Boots are the one piece of gear not to skimp on—spend a little extra time and money to ensure the right boot and a proper fit. Avoid buying this piece of equipment on-line and seek out a qualified boot fitter. Happy feet make a happy skier. This is not a review of the bindings or a recommendation for a specific binding. There are many brands and models and new makes are being released each season; however I have limited the listing to a selection of a few proven binding manufacturers. The bindings are presented first AT then Telemark. Manufacturers in each group are listed in alphabetical order. Marker: manufactures a series including the Duke, Barron & Tour. 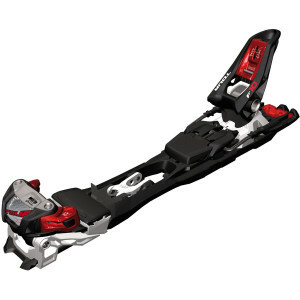 This is a solid, proven binding that works well both at resorts and in the backcountry. Disadvantage is the boot must be removed from the binding to change from tour to ski mode (lock/unlock heals). Marker binding do have an adjustable toe height to accommodate a variety of AT boots. MSRP $400.00 to $500.00. 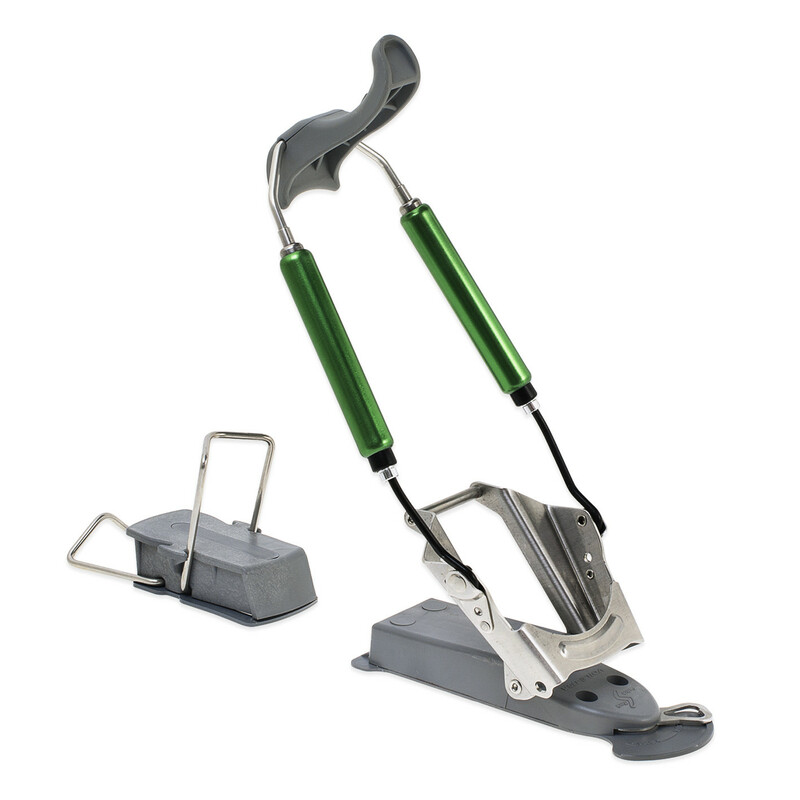 CAUTION: Some other manufacturers of similar looking frame or rail bindings will not fit all AT boots and you should inquire as to if YOUR boot will fit in a particular binding. Dynafit: The original Tech binding and global leader. 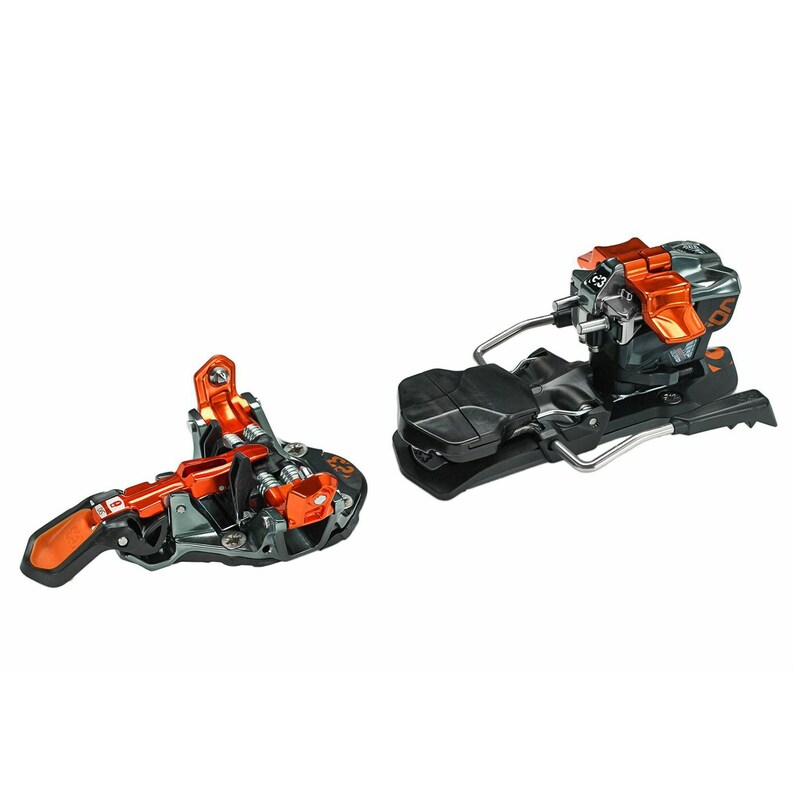 Dynafit makes a full range of bindings from bomber heavy weights to an ultra-lightweight carbon binding at 75 grams (2.6 ounces). MSRP range from $350.00 to $900.00. Fritchi Vipec 12 (Black Diamond): The first tech binding with a DIN releasable heal and toe. A solid performer, easily transfer from free heel to lock down with a quick hand movement. MSRP $600.00. G3 Ion: Reportedly the most user friendly mid-weight tech binding. For those in the know, the heel tower turns both clockwise and counterclockwise. MSRP $500.00. Avoid Telemark bindings that do not lock the heel into the toe piece. These are not designed for wider skis and larger plastic boots. You will rip the boot out of the binding, likely tear the binding off your ski and possibly injure yourself. The following list of manufacturers and models are all relatively comparable. Over the past 3-5 years most manufactures have introduced a model that will pivot at the toe, making hill climbing with skins a breeze. This is a feature you should consider, but will increase the cost of your binding. 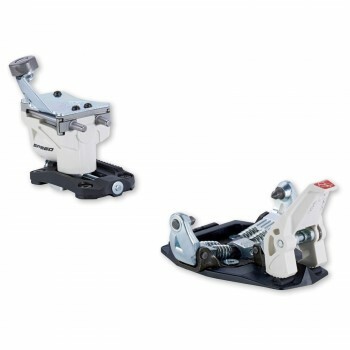 22-Designs AXL: (Toe Pivot) Rated as one of the top Telemark bindings for the past several years. comes in two sizes, small & large. This binding is so well made, field mishaps are unlikely, but working on the binding is simple. MSRP is $320.00 making this one of the best values for a Tele binding. Bishop Bindings: Just because these bindings are awesome and beautiful. They say it best; “Telemark ski bindings designed for big mountain Badassery“. At the high end of the Telemark price range at around $700.00. Handcrafted in Colorado. 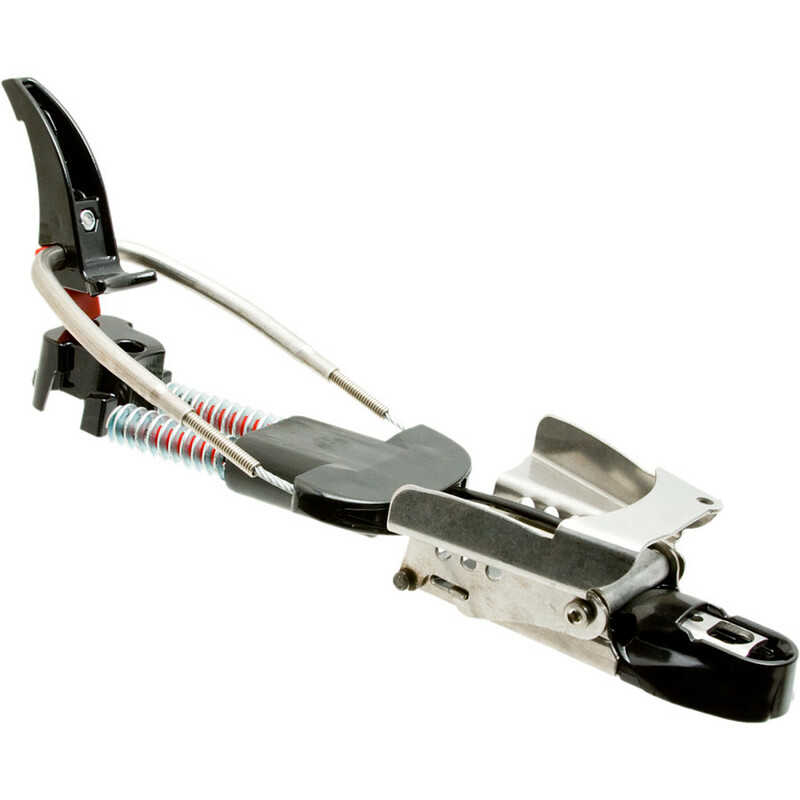 Viole Hardwire: Traditional Telemark binding without toe pivot. This is a solid basic tele binding with a MSRP of $210.00, but most sell at less than $160.00. Easy to service in the field. Avoid the “releasable” model as those who have used these indicate they are VERY difficult to get your boot back on after a release. 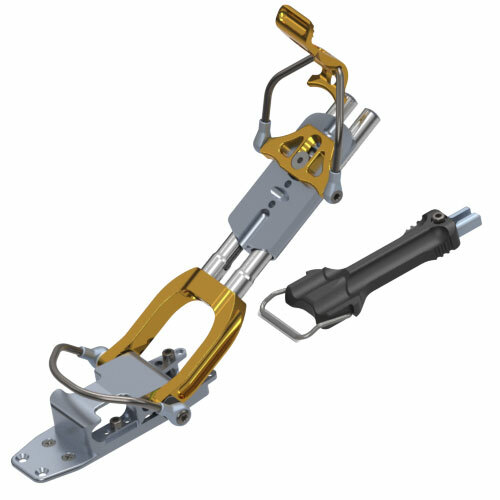 I have also hear reports of the tensioner loosening while skiing, resulting in “walking” out of your ski while moving. Viole Switchback: (Toe Pivot). A traditional Tele binding with the added advantage of a toe pivot. Transfer from toe pivot to regular mode with an easy flick of the lever in front of your toes w]using your ski pole. MSRP of $279.00. If you are new to backcountry skiing, the selection of YOUR gear can be a confusing time. Talk to your ski buddies and others who have more experience than you. Talk to the professionals in your local ski shop and spend hours on-line reading reviews and other articles. Study manufacture sites and the features they offer–do you really need that feature? Educate yourself and be honest as to your abilities and how you will be using your gear. Consider backcountry ski lessons, which is becoming easier these days with most large ski resorts having “backcountry centers”. Finally, before you part with your hard earned money, seek out local “demo days”, either at a resort or a quality “brick & mortar” shop. ← Want to Become a Backcountry Ski Patroller in So Cal?